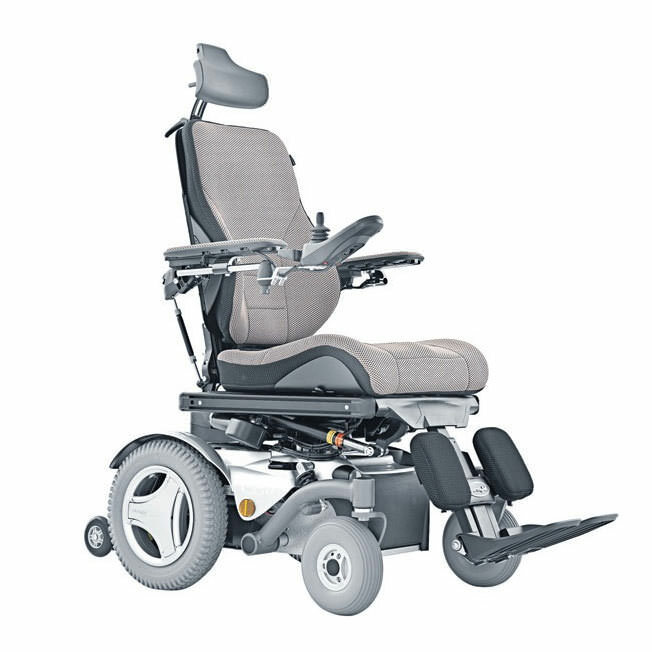 Permobil C350 corpus 3G power wheelchair is a very compact wheelchair with an incredible turning circle inviting you to make tight curves in small spaces. The C350 corpus 3G wheelchair has rear wheel drive function which gives great driving performance at higher speeds outdoors. C350 corpus 3G has two optional motor alternatives and the top speed is a respectable 6.5 mph. 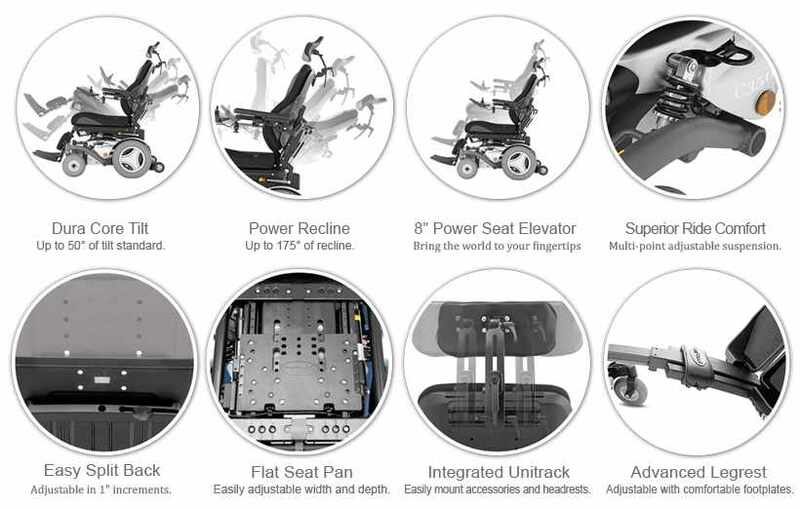 Corpus-seat modular design provides opportunities for extensive customization to meet your needs. 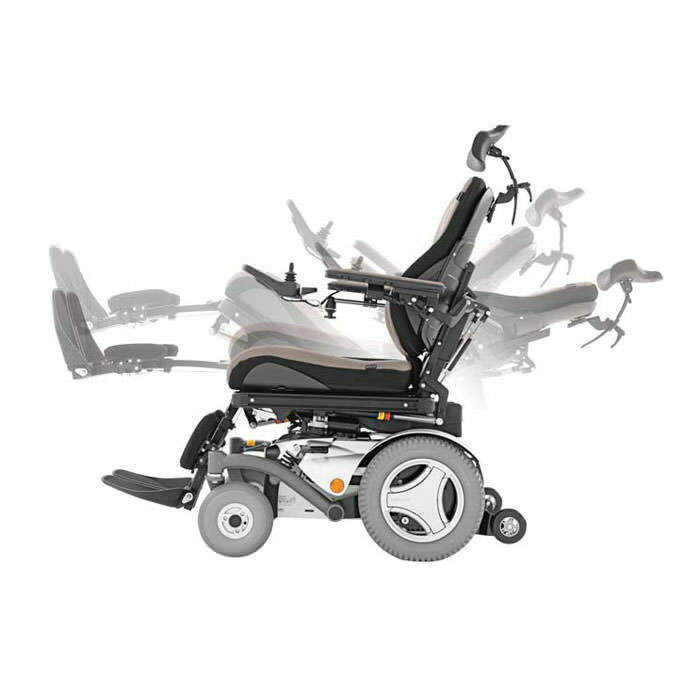 Individual suspension: C350 corpus 3G wheelchair has individually adjustable suspension front and rear gives a smooth and comfortable ride. 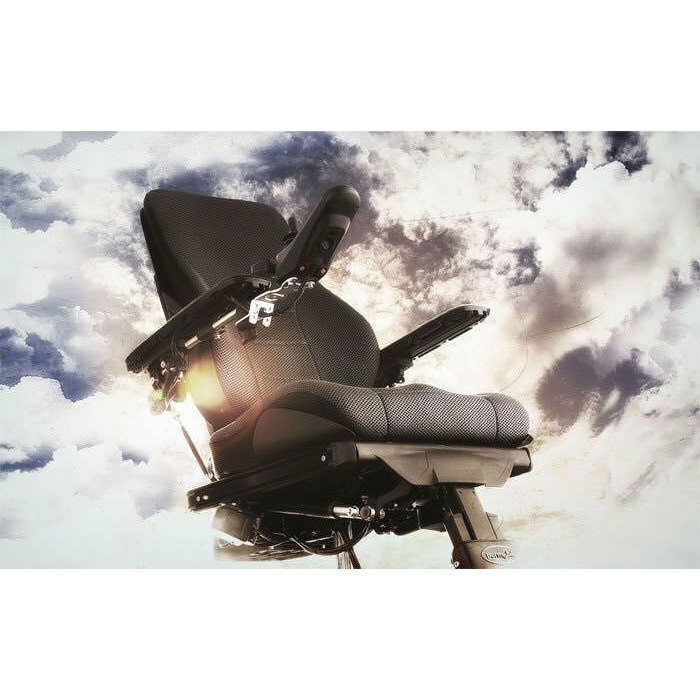 Ergonomic design: C350 power wheelchair has highly developed ergonomic design which makes corpus very restful and pleasant to sit in. Corpus 3G seat has been developed in cooperation with world leaders in ergonomics. Rear wheel drive: C350 corpus 3G is a chair with rear-wheel drive, giving even better maneuverability. Modular seat: C350 corpus 3G seat has designed in modules, making it extraordinarily flexible and adaptable for extreme demands for seat comfort, support and special functions. Adjustable headrest: The headrest can be adjusted to various positions for maximum support and comfort. Fold-up armrests: To facilitate getting in and out of the chair, the armrests can be simply folded up. Armrest pad lengths 10", 13", 16"
Seat widths 17", 19", 21", 23"
Seat depths 14" - 22"
Backrest heights 20", 23" - 28"